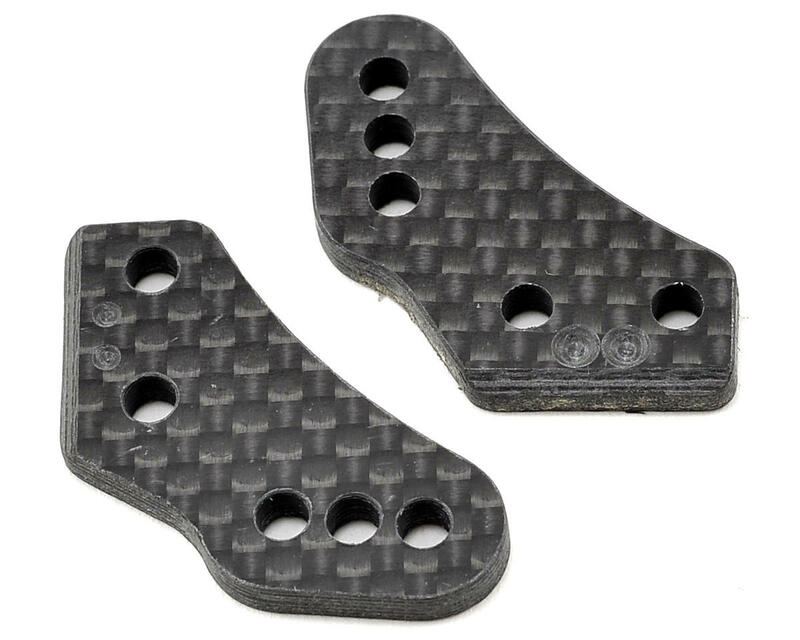 This is an optional Hot Bodies "Type 2" Steering Block Arm Set. These steering block arms adjust the Ackermann geometry in the steering rack. Ackerman affects how aggressive the car feels. More Ackermann makes the car easier to drive and is better suited to low traction surfaces. Less Ackermann makes the car more aggressive and is better for high traction surfaces. 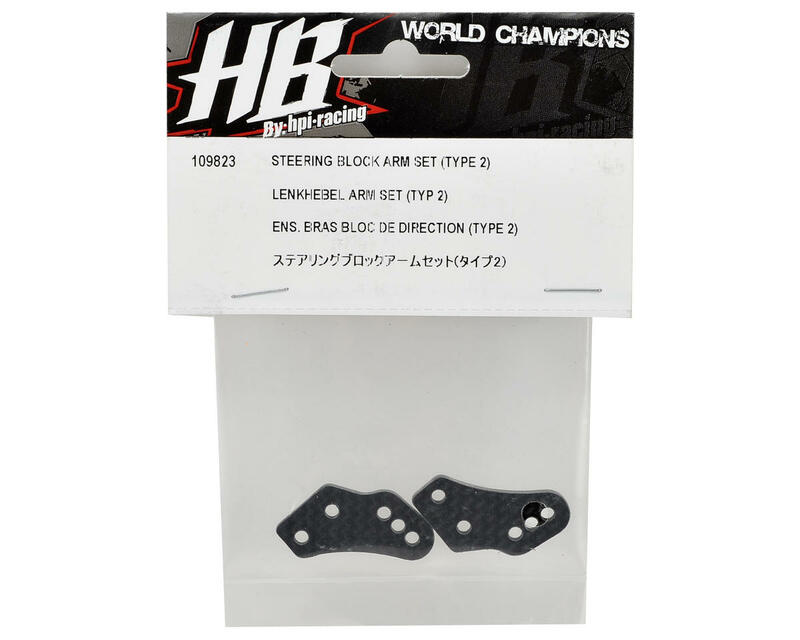 The Hot Bodies steering block arms are rated Type 1, with the least amount of Ackermann, through Type 6 with the most amount of Ackermann, and Type 4 being the standard parts included in the kit. The arms use dots machined into the top, with a specific number of dots to identify the "type" of arm it is, IE: Type 4 arms are marked with four dots.